Note: Information below was built from the first two books. So of course it'll spoil the first two books if you're not careful. Go read the series. True love—and world war—is at stake in the conclusion to The Pledge trilogy, a dark and romantic blend of dystopia and fantasy. Charlie, otherwise known as Queen Charlaina of Ludania, has become comfortable as a leader and a ruler. She’s done admirable work to restore Ludania’s broken communications systems with other Queendoms, and she’s mastered the art of ignoring Sabara, the evil former queen whose Essence is alive within Charlie. Or so she thinks. When the negotiation of a peace agreement with the Queendom of Astonia goes awry, Charlie receives a brutal message that threatens Ludania, and it seems her only option is to sacrifice herself in exchange for Ludanian freedom. But things aren’t always as they seem. Charlie is walking into a trap—one set by Sabara, who is determined to reclaim the Queendoms at any cost. The end of a series. It's usually satisfying to close the last book of a series and call it completed. And this one doesn't disappoint with its ending. I had to look at my reviews of the last two books to recall my thoughts. This book immediately jumps into Charlie trying to forge a shaky alliance with Astonia. When Queen Elena offers Charlie an ultimatum, she, along with Sabara's essence, must decide what to do for the sake of her queendom. With Sabara at odds against Charlie's plan, we see Charlie trying to come up with a plan to rid herself of Sabara once and for all. Only problem is Sabara's privy to all of Charlie's thoughts and has plans to counter them. I must say that I still hold the same opinions from the first two books. This is an excellent story to follow. An original world, a one-of-a-kind story, and a bit of romance. However, the characters don't seem to develop much. You kind of see them as is and no more. Don't get me wrong, they do amazing things. I guess it just feels like the story went too fast. I wish I could have seen more Sabara, more Niko, more Max. Also, Charlie's plan was a little childish, and I wanted something more substantial to back her up. It just wasn't enough, but it was still good. Read this series for the story. The plot is excellent. It's a fun, quick, and easy read. I think you'll enjoy it. Thanks goes to Simon & Schuster for providing me a review copy. 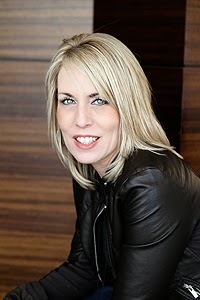 Kimberly Derting is the author of the BODY FINDER series, THE PLEDGE trilogy, and THE TAKING (coming April 2014 from HarperTeen). She lives in the Seattle area, with her husband and three children, who often find the outrageous things they say either in the pages of her books or posted on Twitter or Facebook for the entire world to see. The two guards dragged Xander toward a small, round opening in the stone floor, a hole through which blood could easily drain away to the sewers. They, along with two others who’d appeared, pinned him to the ground while he continued to writhe and scream. They waited until he was too weary to fight any longer. Until he had no other option but to accept this fate he’d been handed. Then the executioner raised his blade. Niko would have closed his eyes, if Elena wasn’t observing him so keenly. Unlike Niko, she had no interest in turning away. She seemed to relish the moment. When the axe fell and the sharp crack of metal struck stone beneath, he felt the slightest jerk from beside him. But when he turned his gaze on her, he saw that she was frowning at the hem of her gown, rather than at the grisly view at her feet.